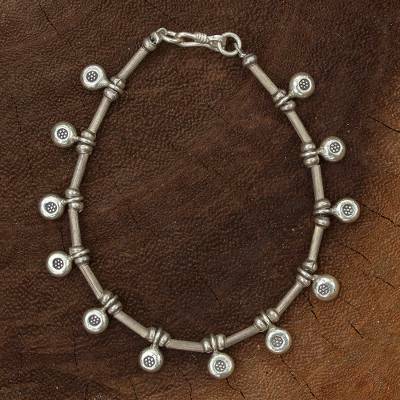 Thail Hill Tribe Silver Charm Bracelet, "Dainty Blossoms"
Engraved with dainty floral motifs, 950 silver spheres grace a delightful bracelet. Sasithon Saisuk crafts them by hand, interspersing the beads with slender cylinders. Infused with ancient Thai mystique, the original design reveals flawless craftsmanship.